What Is The Story of Spider-Man, Turn Off the Dark? 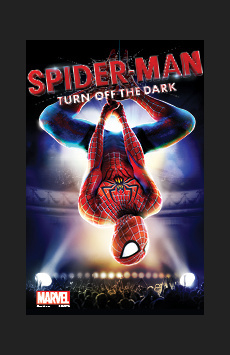 Spider-Man, Turn Off the Dark loosely follows the storyline of the comic book series and the 2002 film adaptation of Spider-Man, while adding its own twist on the popular tale. When nerdy teenager Peter Parker is bitten by a genetically altered spider, he discovers he has obtained super strength, web-spinning abilities and other spider-like powers. Parker soon finds himself battling scientist-turned-villain Norman Osborn, who adopts the alter-ego of the Green Goblin. As Parker’s troubles begin to pile up, he looks toward Arachne, a mythical spider goddess, for inspiration. An overt crowd-pleaser. 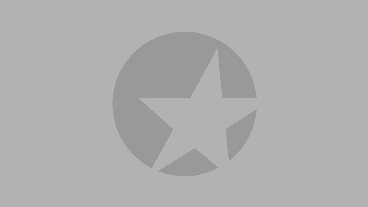 Patrick Page is an exuberantly entertaining villain; Reeve Carney conveys a youthful earnestness and burgeoning confidence that make him a compelling foil. A high-flying, fun adventure with New York City's favorite webslinger. What Is Spider-Man, Turn Off the Dark Like? One of the most technically elaborate Broadway musicals of all time, Spider-Man brings the Manhattan skyline to life on stage and features incredible aerial stunts as Spider-Man flies over the audience to fight his foes. The musical features a rock score penned by famed U2 musicians Bono and the Edge. Similar to other projects from the show’s original director, Julie Taymor, there are inventive costumes, puppets, masks, projections and more stunning visual techniques used throughout the show. Is Spider-Man, Turn Off the Dark Good for Kids? While superhero loving kids will go crazy for Spider-Man as he soars around the audience, younger children may be slightly frightened by the evildoers who aim to bring down the super hero. Much of the fight choreography looks like stylized dancing, so it is not overly violent, though some of the video projections are a bit intense (and loud) for younger kids.